The aim of this new programme is to provide a multi-disciplinary understanding of global water resources and environmental issues through the development of knowledge and skills necessary for the management of these resources to meet the needs of society, within the context of changing environmental conditions. This programme is unique in that it enables students to freely elect the courses (from the Water Resources selection), ensuring a completely bespoke programme of study that can be tailored, by individual students, to suit the career or field of practice they would like to enter. 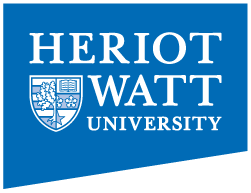 We also have an 'articulation pathway' in collaboration with the Open University and Scottish water, to provide a clear and joined-up route from entry-level, through MSc and into the Water Industry. This programme is offered both on campus, and as an on-line Independent Distance Learning programme providing our students with oportunities to advance their knowlege, skills and academic qualifications whilst undertaking other commitments such as full-time employment. We work closeley with our partners in industry to provide our students with networking opportunties, shadow work experience placements, and industry dissertation research opportunities. Through the Scottish Funding Council, the Water Academy can offer a limited number of scholarships for this MSc programme. More information on how to apply, and a scholarship application form can be found here. How to apply for this programme, or if you have questions for our applications team.